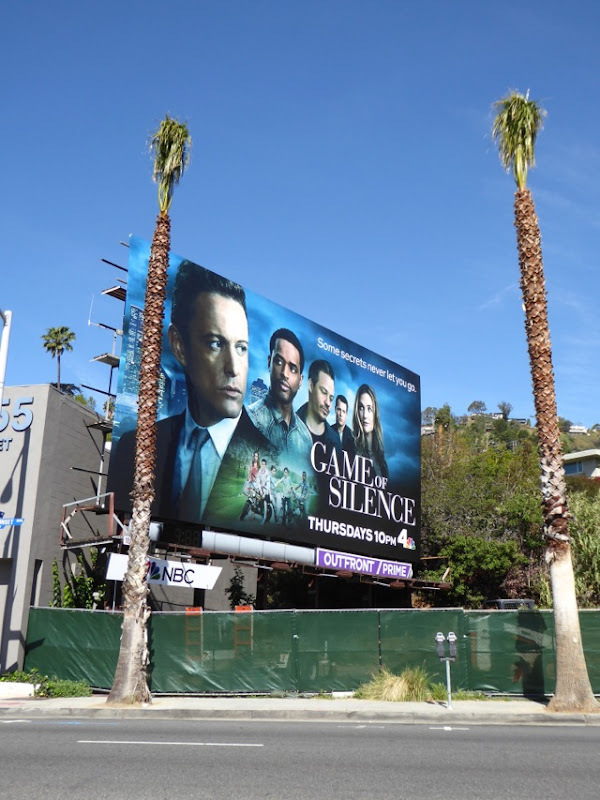 The billboards for NBC's new thriller Game of Silence have that look of nostalgic 80s movie to them, which fits the tone of the series about a group of friends who have a dark secret from their childhood past come back to haunt them. 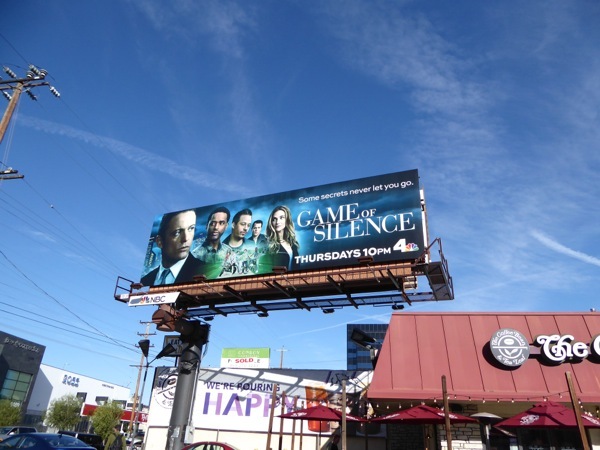 Based on the 2012 Turkish drama Suskunlar, David Lyons, Larenz Tate, Michael Raymond-James, and Derek Phillips are reunited 25 years after they helped protect their friend from her alcoholic mother (now a grown up Bre Blair), which landed them in a hellish juvenile detention facility for nine months and changed their lives forever. 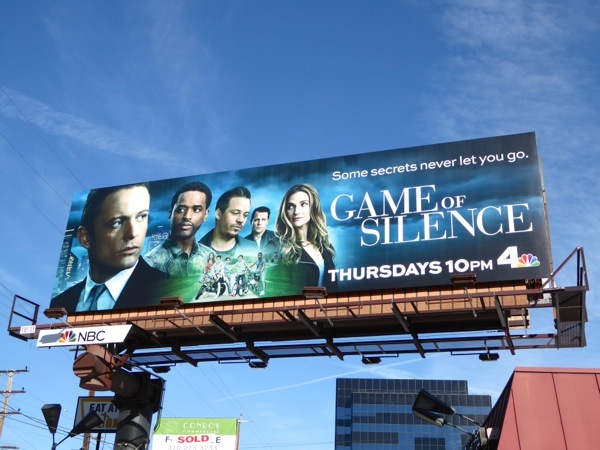 Now all grownup they discover 'some secrets never let you go'. 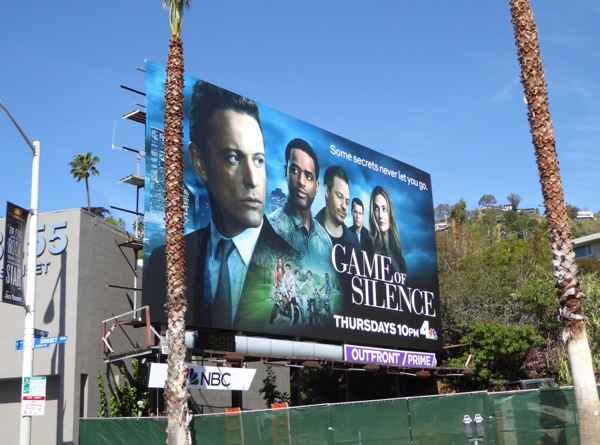 The larger format billboard for Game of Silence was snapped along West Hollywood's Sunset Strip, whilst the standard bulletin billboard was spotted along La Cienega Boulevard on March 22, 2016. Only time will tell wether this traumatic tale from the past will be met with loud applause by viewers, or deafening silence.